Ok, NOW you can get addicted. After five years of development and a year and a half of Early Access, Starbound is officially released. Sure, most of us have been playing it since 2013, but that was rough alpha and beta territory. Now, with the landmark one-point-oh number on the end, Starbound is feature complete and ready to impress. Narrative is divided into eight missions, telling a cohesive story with boss battles and game progression. Planets now contain multiple biomes, microdungeons, villages and more. Generated quests and side quests in addition to the main missions. Hire mercenaries, train crew members, capture and tame monsters as pets. Ship upgrades are handled through crew training instead of arcane missions. Completely reworked crafting system with more crafting tables, categories, meaningful recipes, and improved navigation. New weapons and revamped combat system. The biggest, most co-op friendly new feature is in online multiplayer. Hosting games in the past required players to forward ports, share IP addresses, and pony up their own processing power for others to connect to, resulting in jumpy, laggy, unreliable games, especially when players split up or are exploring large areas. Starbound now leverages Steam to make the process as easy as sending an invite to your Steam friends, kicking back and waiting for them to join. 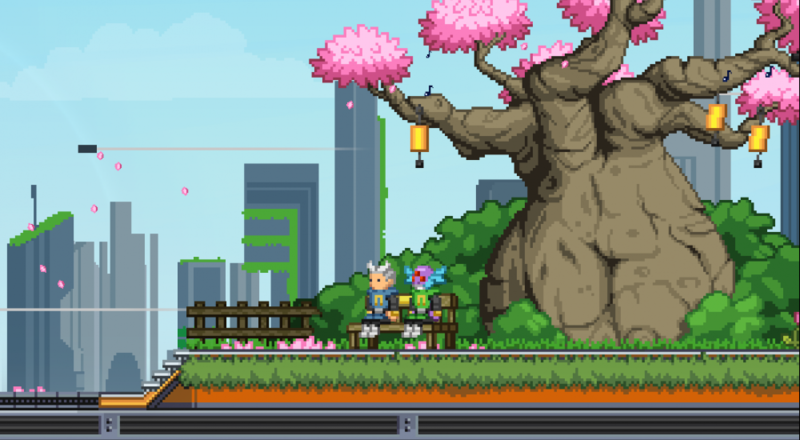 If you're new to the game or you've been along for the entire ride, Starbound's big 1.0 release shouldn't be missed.